We are seeking a sales director to join our friendly Edinburgh based team to support our Raasay Distillery and Tweeddale Whisky brands. Closing date for applications is 4th January 2018. The senior commercial lead in the business with responsibility for articulating the sales strategy for the organisation. Fully accountable for delivering profitable sales for the Raasay and Tweeddale Whisky brands. Responsible for leading and developing the sales team. Develop and agree the 3 year sales strategy with the M.D. Fully accountable for delivery of the sales A.O.P. Specific accountability for the UK sales plan and revenue / profit targets. Identify, develop and execute a clear on-going ‘pipeline’ plan of new channels / retailers / regions/countries / importers and distributors. To work closely with the Founders and Marketing team to formulate a brand vision and ensure effective execution of agreed marketing, product & trading plans. Ensure effective supply chain management through clear communication, effective forecasting and product launch planning. To lead the sales team, ensuring personal and professional targets are met. Not for the faint hearted: The Raasay brand is new to market and whilst the category is seeing strong growth, it is one that is highly competitive. Coupled with this, the island distilled whisky is not available until 2020, thus presenting portfolio sales challenges. Inspire: Persuading importers / distributors / retailers to do something new & different to deliver exceptional category growth. Mindset: Rapid growth focus rather than a mind-set of defending business. Motivation: The ability to lead a geographically dispersed sales and distributor team, from afar. Focus : Ensuring the optimum effort is placed against each of the brands to deliver the commercial prize. R&B Distillers was created in 2014, bringing together the richness of the Tweeddale Whisky heritage and the start-up Raasay While We Wait brand. By September 2017 a new distillery opened on the Isle of Raasay with the visitor centre opening in January 2018, an expert team recruited. 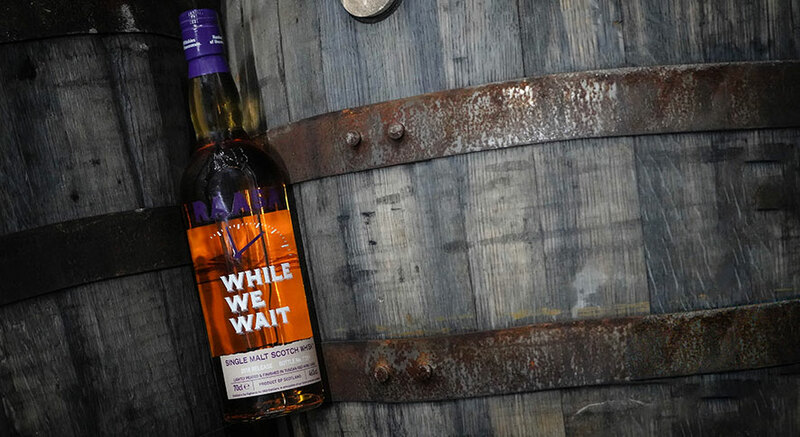 The spirit currently maturing in oak barrels, will be bottled as the first ever legal Raasay single malt in October 2020. The Sales Director position will work with the senior management team to ensure the unique brand experience of both the Raasay and Tweeddale Whisky is translated into profitable sales. A minimum of 10 years’ commercial experience working in the alcoholic drinks sector. A free thinker who can identify and deliver commercial, operational & logistical solutions. Thrives, as a member of the R&B team, working in a highly entrepreneurial way. Can demonstrate effective cross functional collaboration. Language skills – English a 2nd language (French, German, Mandarin) would be advantageous. Highly numerate, with the ability to forecast accurately by country. This is a role for someone who makes things happen in 3 months where others would take 6. Someone who does today what others would leave until tomorrow and above all is intensely competitive in a positive pro-active way. Please apply in writing by email to Alasdair Day at: alasdair.day@rbdistillers.com or by completing the form below.